Ousmane Dembélé continues his great start to the 2017/18 season. The French winger was again decisive for Barça with his goal in the 66th minute in Anoeta and his three goals this season so far have handed his team four vital points. The international is in fine form and let’s not forget he was part of the French squad that claimed the World Cup in Russia in the summer. In his last 16 games as a starter, Dembélé has been involved in no less than 13 goals, five scored by the winger himself. The Barça number 11 helped the blaugranes in San Sebastián to a second consecutive comeback win in the league against Real Sociedad in Anoeta. 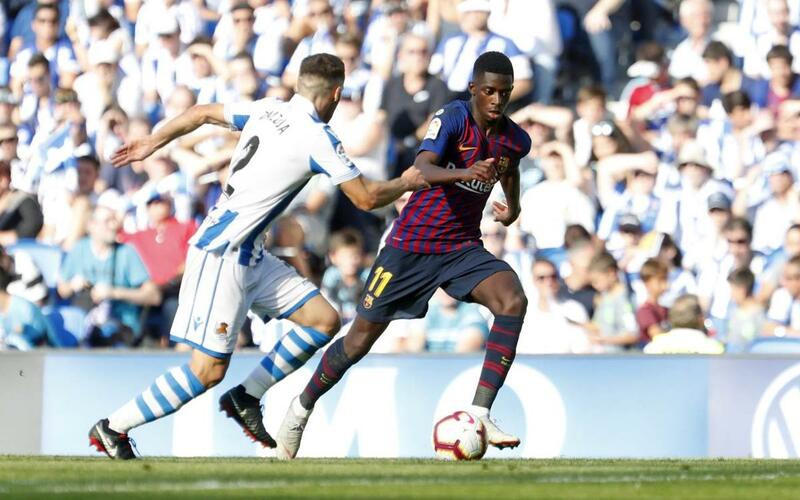 Furthermore, Dembélé’s goal enables Valverde’s team to maintain their perfect start to the league campaing with four wins out of four in La Liga in 2018/19 for FC Barcelona.